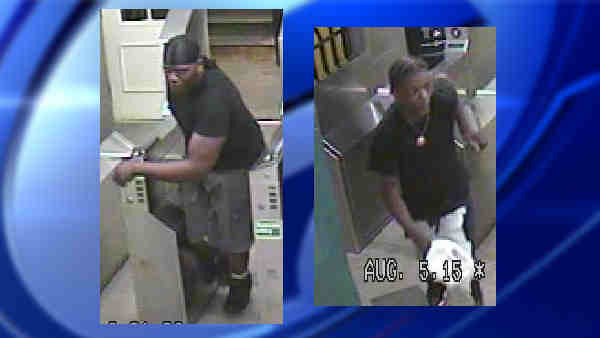 BROOKLYN, N.Y. (WABC) -- Police are looking for two men in connection with a robbery at a subway station earlier this month. Around 2:30 a.m. on Aug. 5, the suspects approached the victim on a southbound L subway that was heading into the Livonia Avenue station. They punched him in the face, and took his Samsung S6 cell phone, then fled. Anyone with information about the case is asked to call 1-800-577-TIPS (8477).